I can't believe it took more than two months to transfer my IRA assets from Scottrade to Vanguard. Last night, I finally received the confirmation letter from Vanguard, saying that the transfer is now completed and my Vanguard account is ready. The assets were moved to Vanguard on December 8th, two months and eight days after I mailed out the transfer form. Initially, I thought this is a very simple and straightforward process as Vanguard must have done lots of them. Yet, the whole process was full of troubles, from the beginning to the end. The way they handled my case shows the lack of professionalism, though they run some great funds. And they didn't forget to make one more error of my account. Since Vanguard charges account maintenance fees for funds with less than $5,000 of market value, I re-distributed the total assets among the four funds I transferred to avoid the fees. For example, I have more than $13,000 in VTSMX but only $3,500 in VGTSX. So on the application form, I gave the new percentage for each fund of the total transferred value. 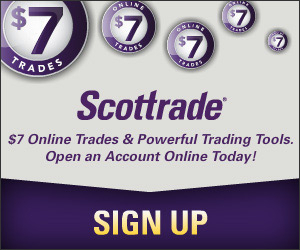 However, on the confirmation letter, the value of each fund is exactly the same as when they were with Scottrade. Nothing changed. Though I think I can easily move money among these funds, I am bothered again by the fact that they have the options on their application form to allow me change the size of each fund and I gave them the instructions on how I want the changes to be made, but they just ignored them! I have talked a lot about my terrible experience with Vanguard in the past two months and I am glad that the seemingly endless trouble is finally behind me. However, there's no word on the status of my wife's IRA transfer, which was filed on the same date. Kudos to you ! I love Vanguard and my 401K is with Vanguard. There are 2 fund companies I love and that is T.Rowe Price and Vanguard. I think they have excellent customer service! Good choice you made Sun.